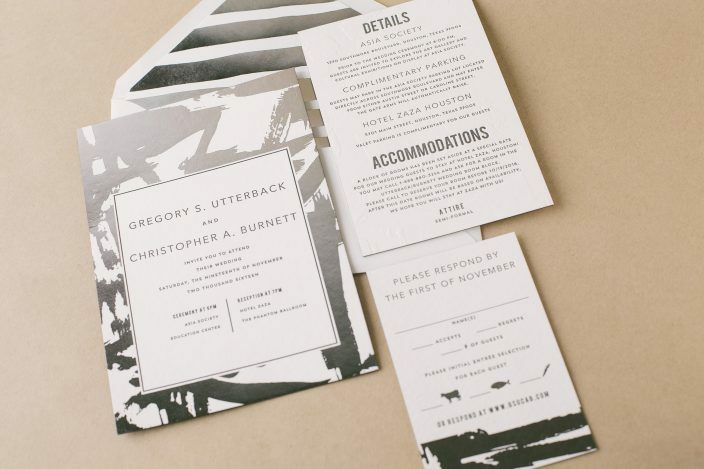 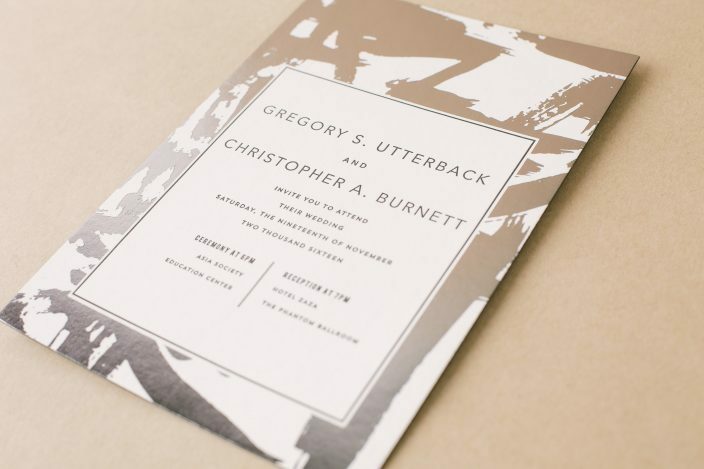 We combined platinum shine foil with black letterpress ink to create Gregory and Christopher’s modern brushstroke wedding invitations. 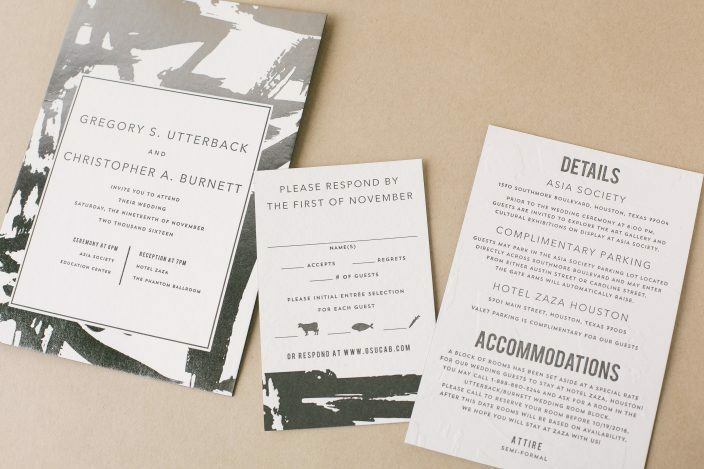 The pair customized our Flynn design for their November wedding at the Asia Society in Houston, Texas, which was followed by a reception at Hotel Zaza. 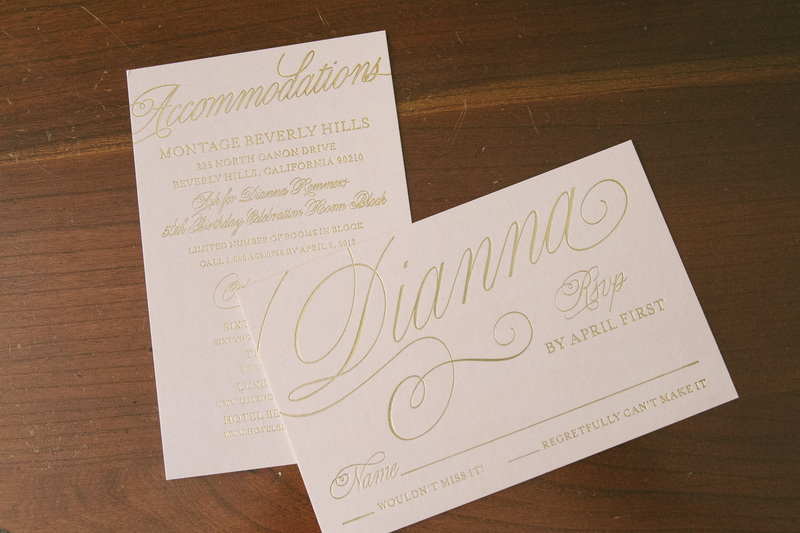 In addition to the invitations and foil stamped envelope liners, we created a reply card and an information card that shared specifics on information like parking, accommodations, and wedding day details. 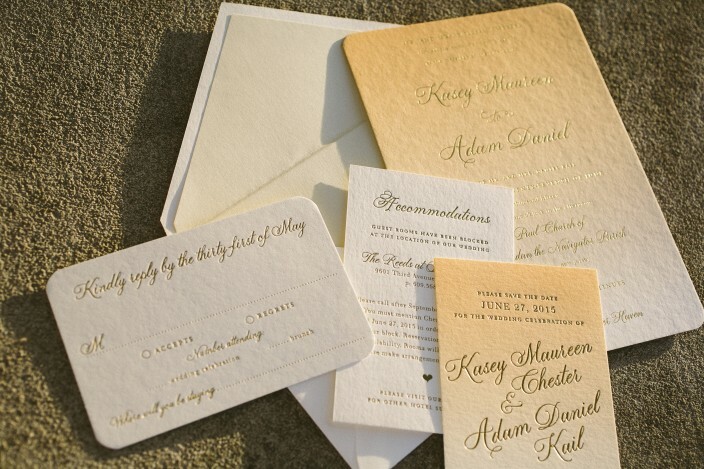 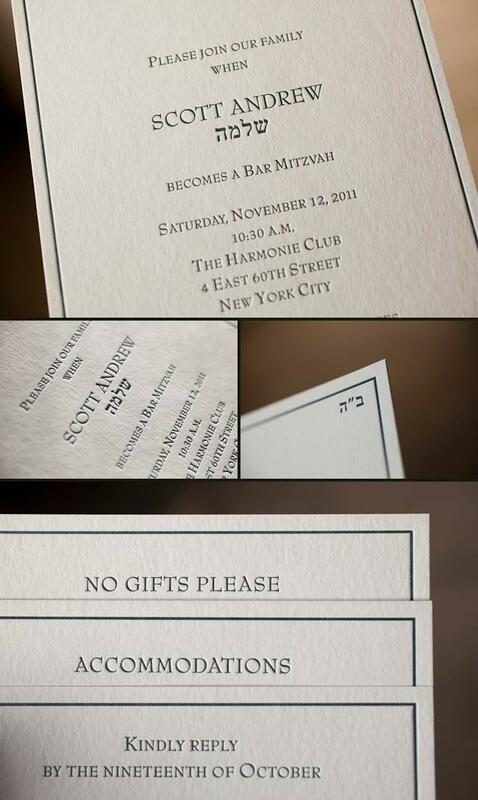 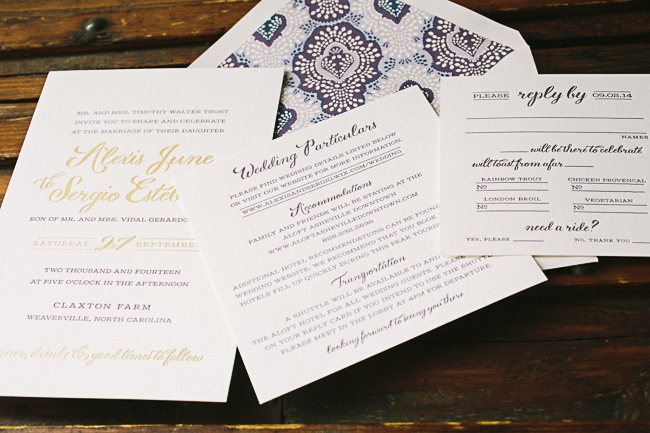 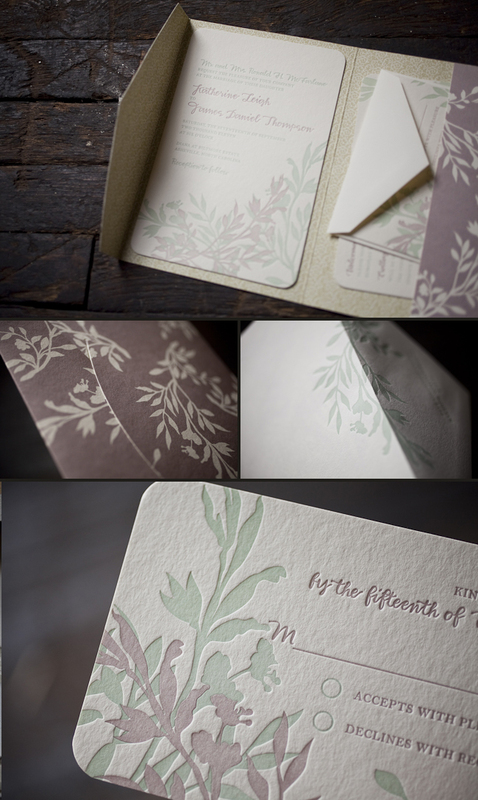 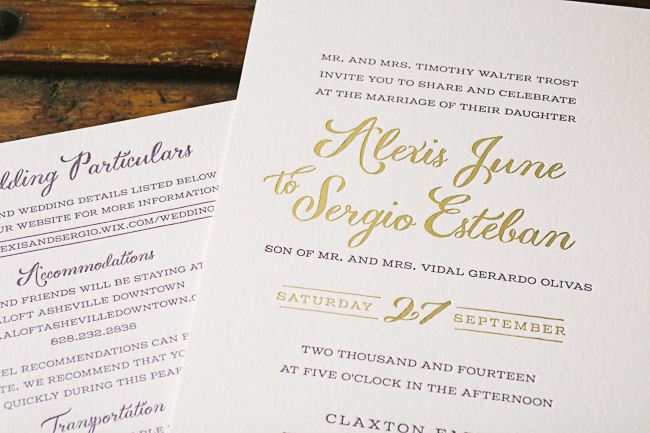 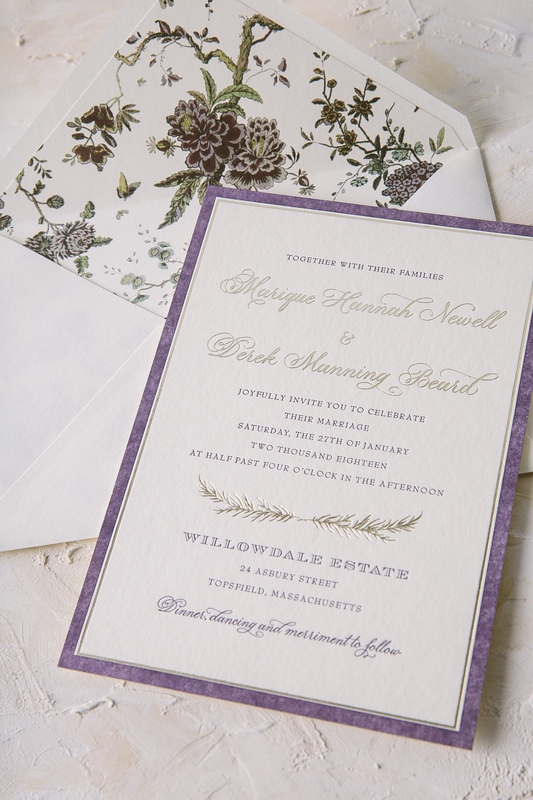 If you’re looking for a traditional wedding invitation suite – then look no further! 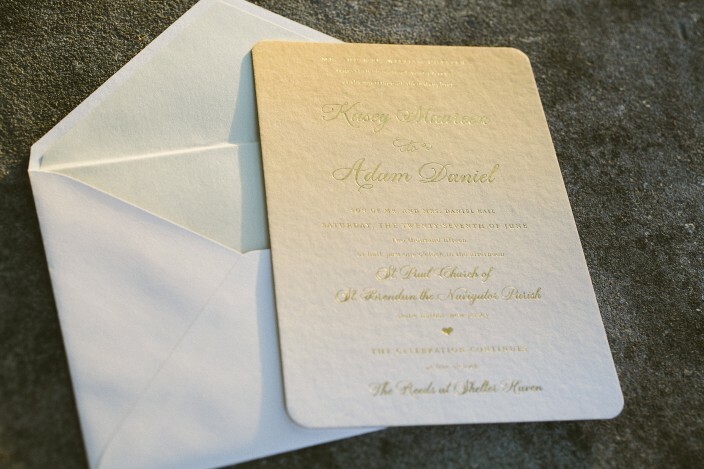 We’re head over heels for this simple and sweet letterpressed set submitted to us by our friends at The Dandelion Patch in Reston, Virginia. 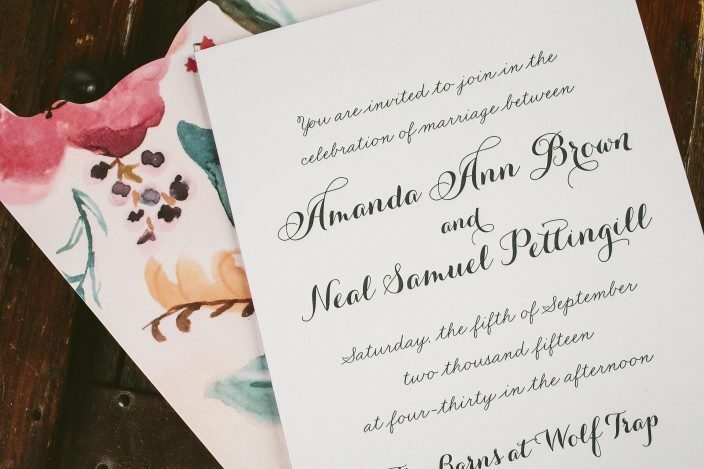 Letterpressed in black ink with gorgeous mulberry edge paint that acts as the perfect accent to this one color set – we can’t help but swoon! 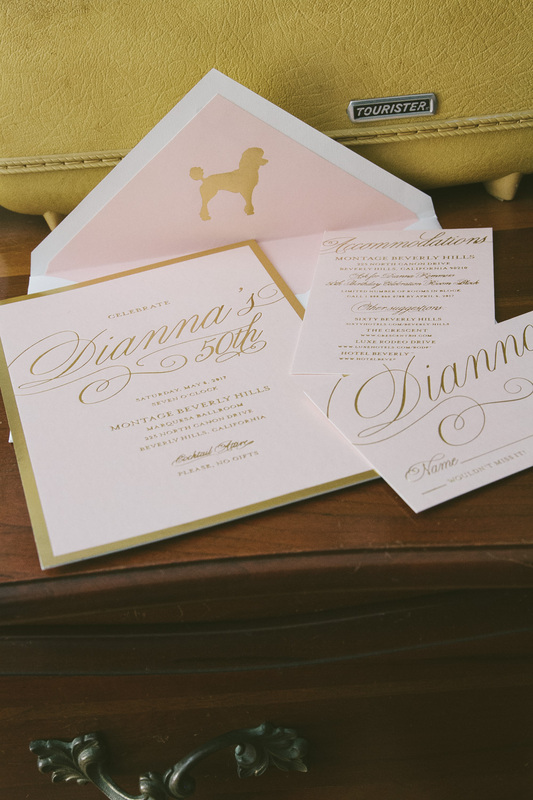 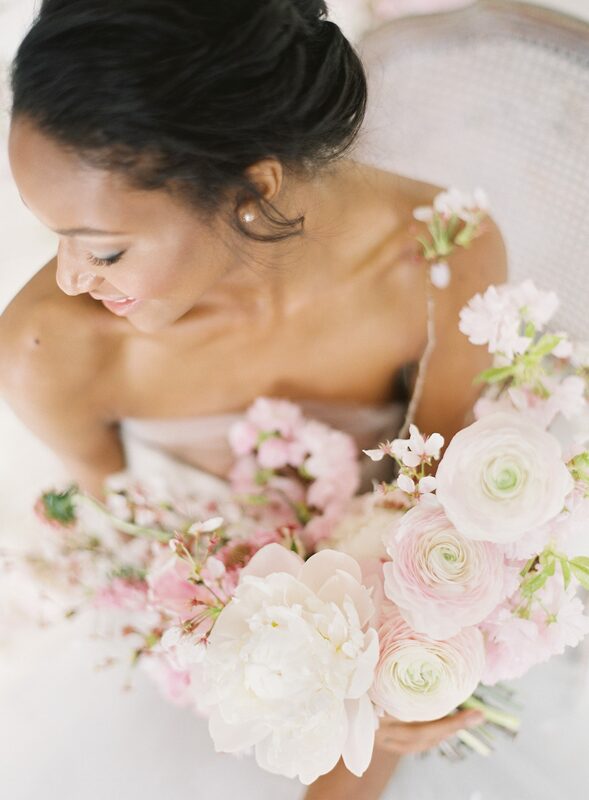 After looking at photos of the The Ritz Carlton in McLean Virginia, where the fabulous wedding was held – we see what a fanciful and lavish venue the couple chose for their special day. 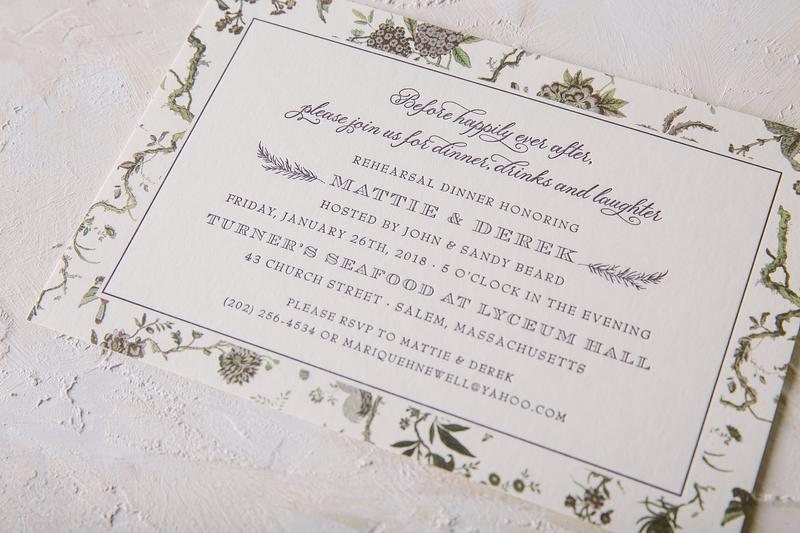 Of course we believe tossing our mulberry ink into the mix helps keep this set looking romantic, but this set also encourages the feeling of the winter months. 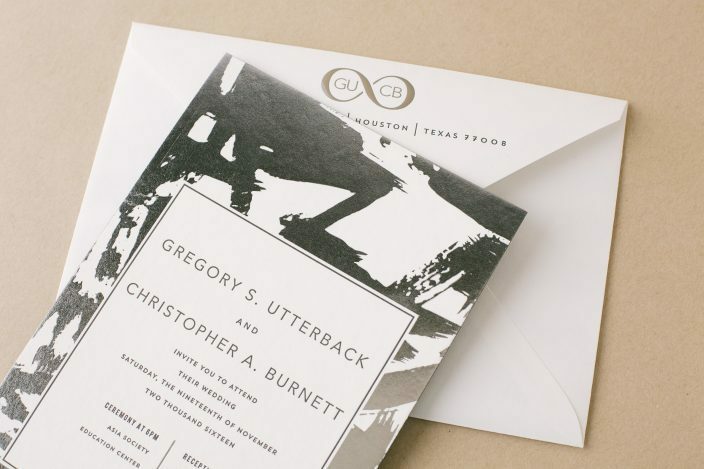 The three letter monogram on both the invitation and letterpress belly band adds another touch of elegance to this striking set! 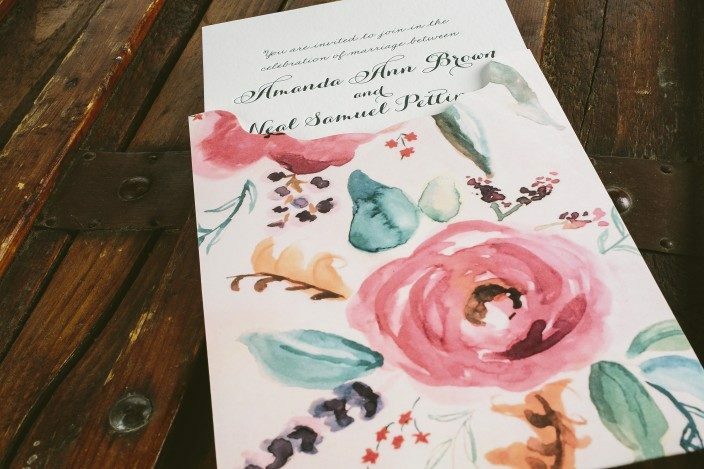 With a pairing of our navy and azalea inks we have a real beauty on our hands! 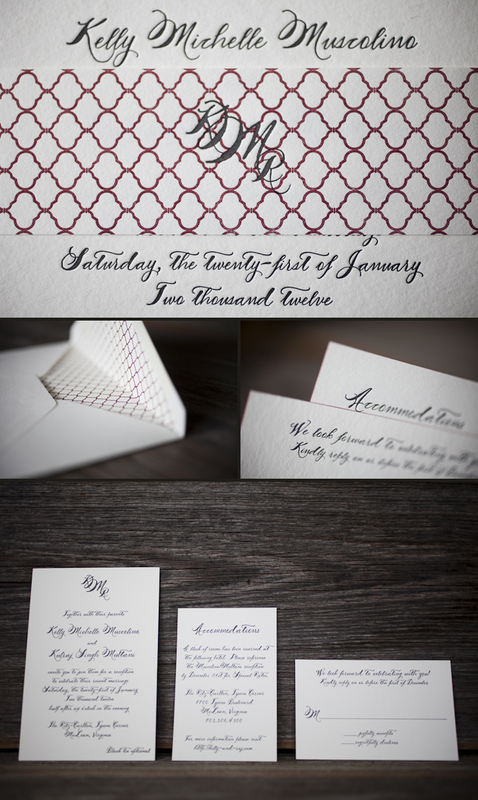 These lovely letterpress save the dates were submitted to us by our great friends at By Invitation Only in Little Rock, Arkansas. 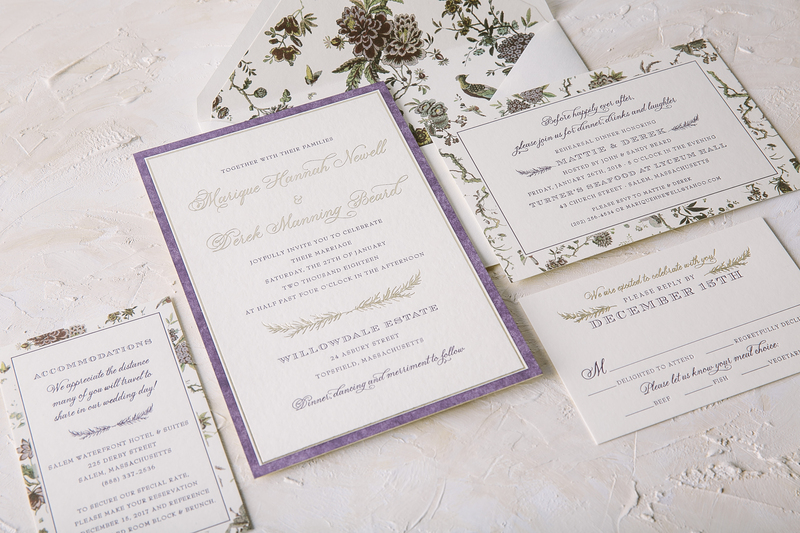 The couple chose our willoughby pattern for the top and bottom of their save the dates – which we think adds a real elegant factor. 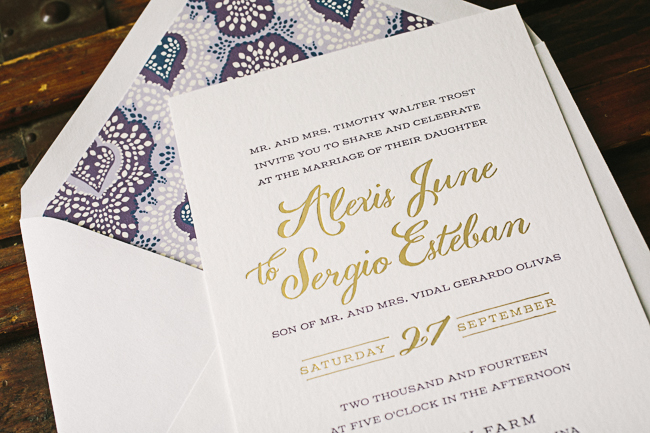 We can’t get enough of this stunning color combination because it’s not overly feminine and has just a touch of boyish charm – within the navy ink. 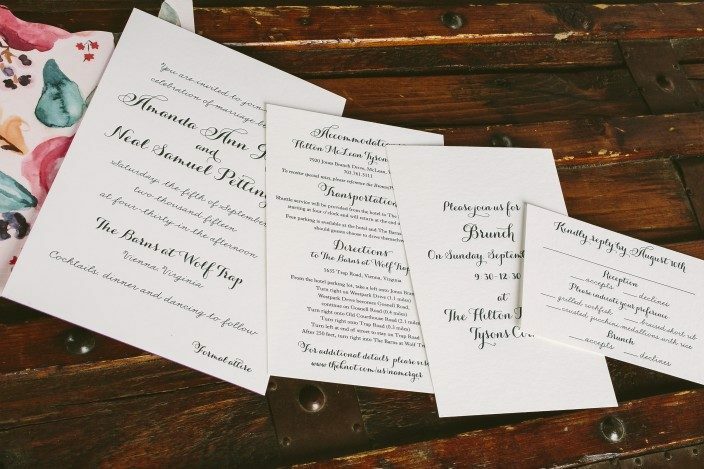 And we’re all about couples sending their save the dates early – it’s customary to mail save the dates six months to a year before the big day. 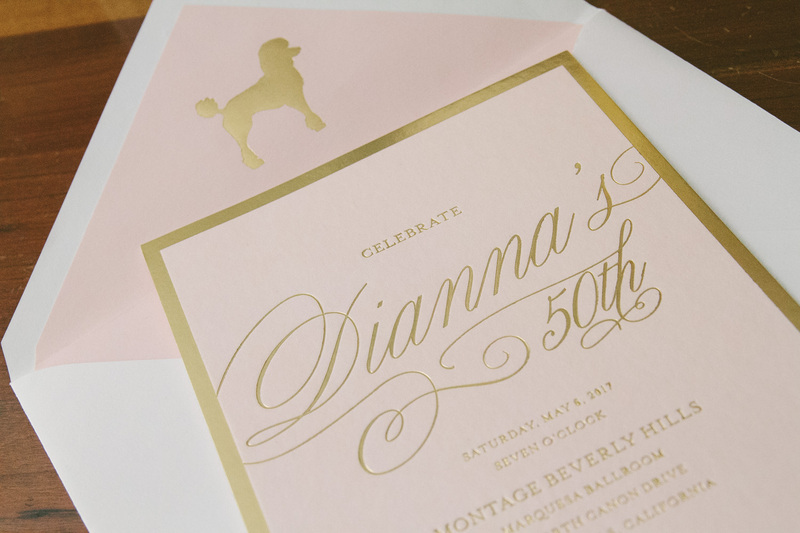 This allows your guests enough time to book their accommodations, save enough spending money and request time off work. 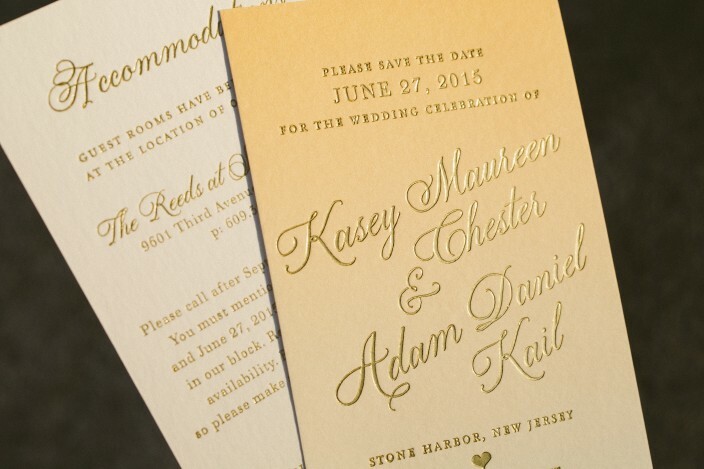 Mailing your save the dates early also allows your guests to count down the days til the “I Do’s”.